This topped off Sam's day!! 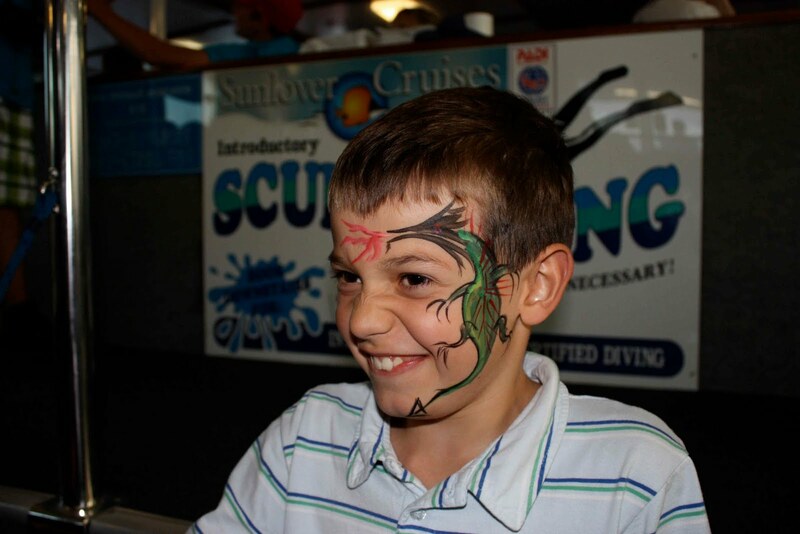 There was a very talented lady on board who thrilled the nippers with some face painting. Excellent job - no showers for three days!! This craft was no 'tinnie'. 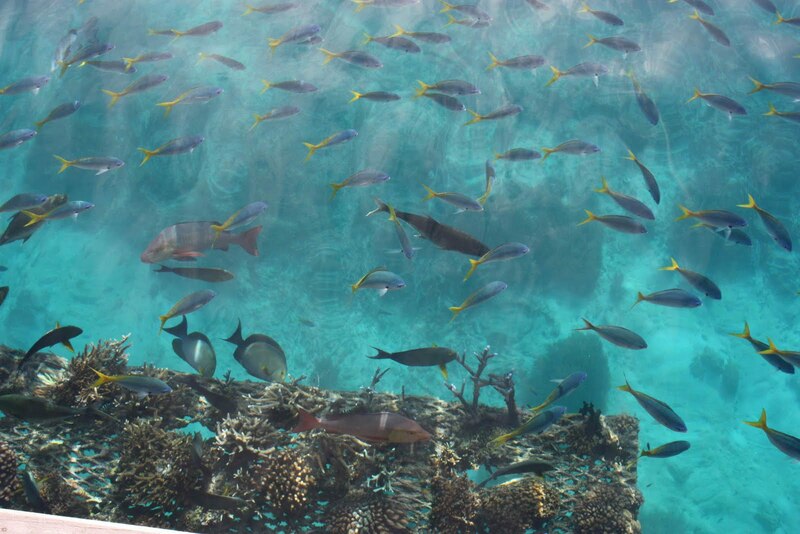 A whopper that can carry 350 people out to the Great Barrier Reef. 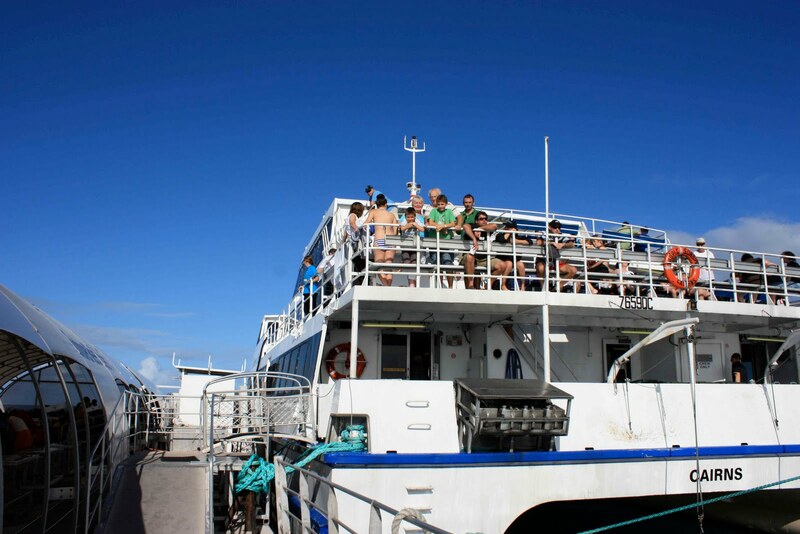 This shot is of us on the top deck. 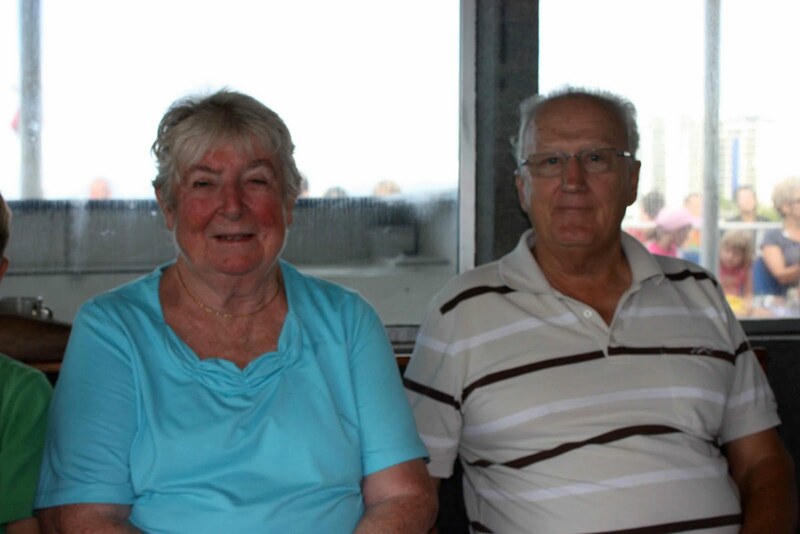 We met up with Ma (Jan) & Pop (Don) Volkmer in Cairns and had the day out on the reef together. It was good fun. They held brekkie down as did we! 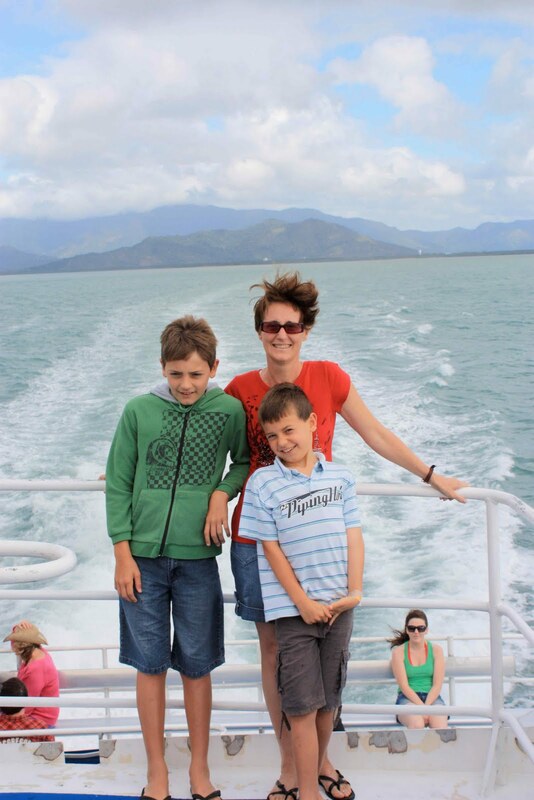 Joey & Sam met an Aussie icon on the boat - Yahoo Serious' little sister Leeanne! 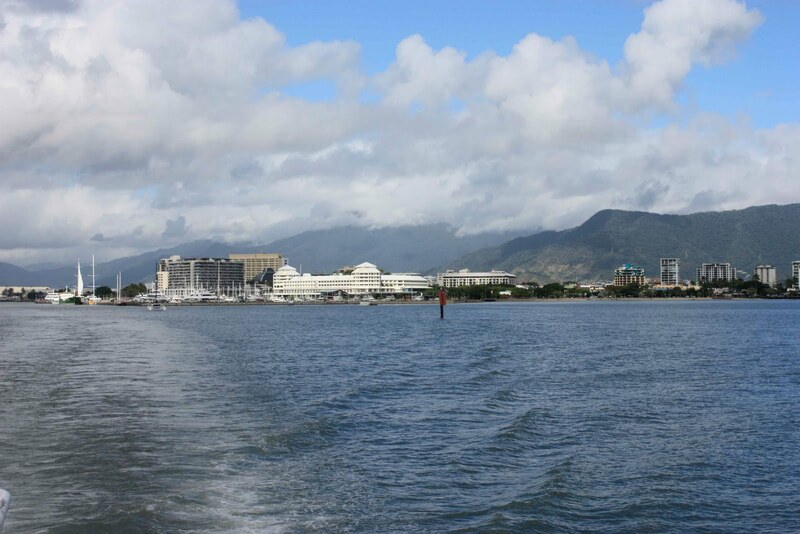 Leaving Cairns for the trip out to the reef. A bit bumpy, some folks didn't fare too well with keeping brekky down!! Hee-hee!